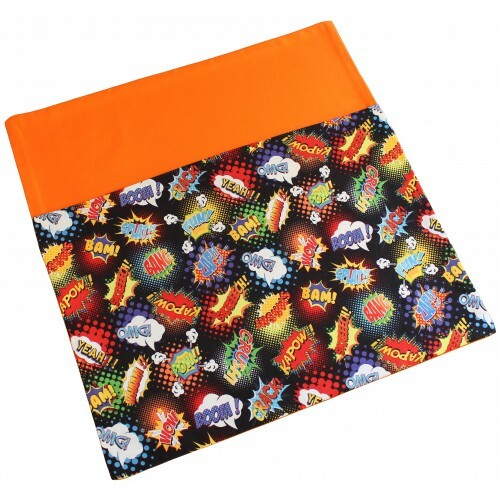 What a great school chairbag for that boy or girl who adores super hero comic books. Perfect to add to that bedroom or study area to create extra storage. May also be used at school to keep books off the floor. Made from 100% cotton, has been lined and is machine washable. Designed to fit straight backed school chairs. Design: Comic Book Words on Orange. Placement of pattern may vary.